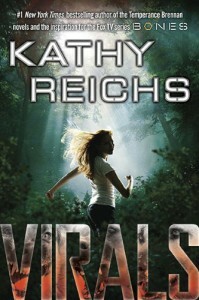 While not as detailed in terms of Forensic Anthropology like Reichs' other books, Virals is an excellent read, especially for those YA readers who like mystery. It was a little slow to begin with but once the story got rolling, I didn't want to put it down. The only thing that bothered me is the whole "super-powers" thing... extremely far fetched and isn't really true.